It is well known that nearly every Supreme Court case is in want of an advocate-on-record (AOR), and several lawyers and law firms have made this a core part of their Supreme Court practice. After analysing more than 120,000 of the Supreme Court’s daily orders from 2018, we have now compiled a list of the busiest advocate-on-record (AOR) firms in the apex court, according to the number of orders mentioning their names. Cyril Amarchand Mangaldas (CAM) has launched a continuing legal education (CLE) initiative, which will see up to 30-40 of its fee-earners, as well as in-house lawyers and clients take two to three full-day practical in-depth courses on specific areas of law. Cyril Amarchand Mangaldas Delhi competition and technology, media and telecoms partner Rahul Goel, whom we had reported in January to have resigned with his team, will be joining IndusLaw. Cyril Amarchand Mangaldas is setting up a legal technology incubator in Delhi to entice three to four startups “that have the potential to meet real-world challenges” to be mentored by the firm, as first reported by Mint. J Sagar Associates (JSA) has hired Cyril Amarchand Mangaldas Delhi partner Asim Abbas as a partner, after the technology, media and telecommunications (TMT) specialist had left the firm late last year. Cyril Amarchand Mangaldas partner Rahul Goel, who specialises in technology, media and telecoms, as well as competition law, has resigned together with his team, which includes partner-level director Anu Monga. IndusLaw has hired Manishi Pathak as a Delhi partner after he had resigned from Cyril Amarchand Mangaldas (CAM) last month. Amarchand-raised Cyril Amarchand Mangaldas (CAM) Delhi partners Kirat Singh Nagra and Rishi Anand, who we had first reported in November 2018 to have together resigned from the firm, are joining DSK Legal to rebuild its Delhi outpost. Cyril Amarchand Mangaldas (CAM) Delhi partner Asim Abbas, who had been hired from Shardul Amarchand Mangaldas (SAM) in 2016, is to leave the firm, as first reported by Bar & Bench. 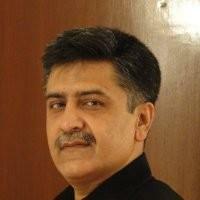 Cyril Amarchand Mangaldas Delhi Corporate partner Manishi Pathak is to leave the firm, Bar & Bench has first reported.